Due to us having to go to Mexico for 6 months on very short notice in order to treat our daughters brain tumour, building was at a standstill for many months! Finally, we came back and in January, I started building again. 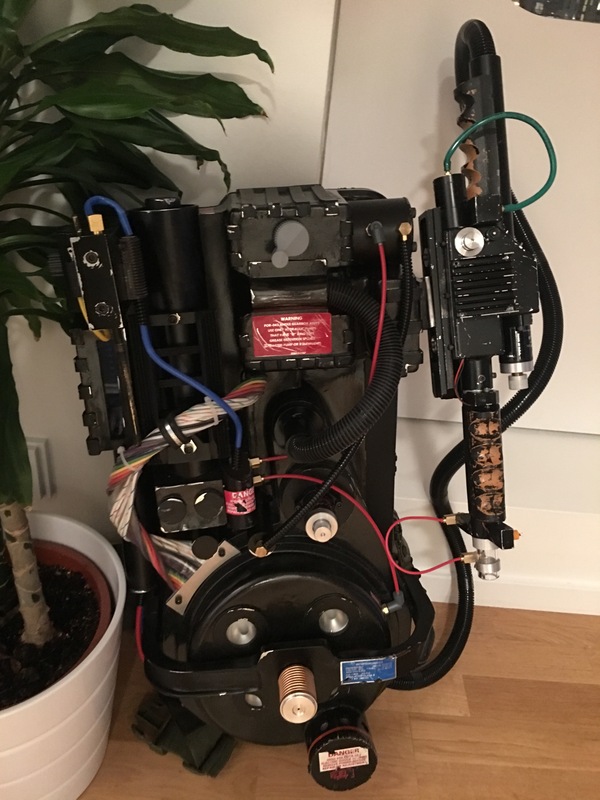 One of the first things done was to install the electronics in my proton pack and mark this pack finished! I managed to cram all the electronics down into the lovely metal thrower, but it was a tight squeeze. 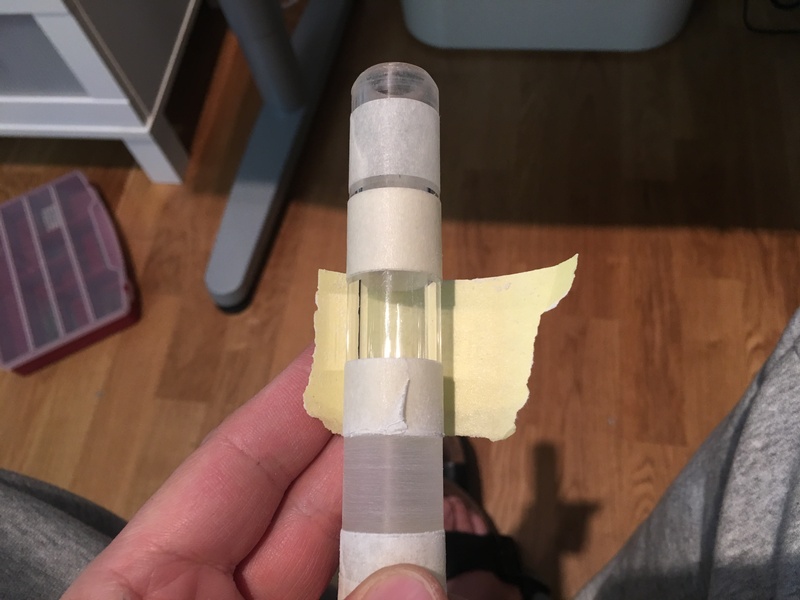 I managed to fix the acrylic tube of my thrower partly myself, and partly with the help of a friend with a lathe. 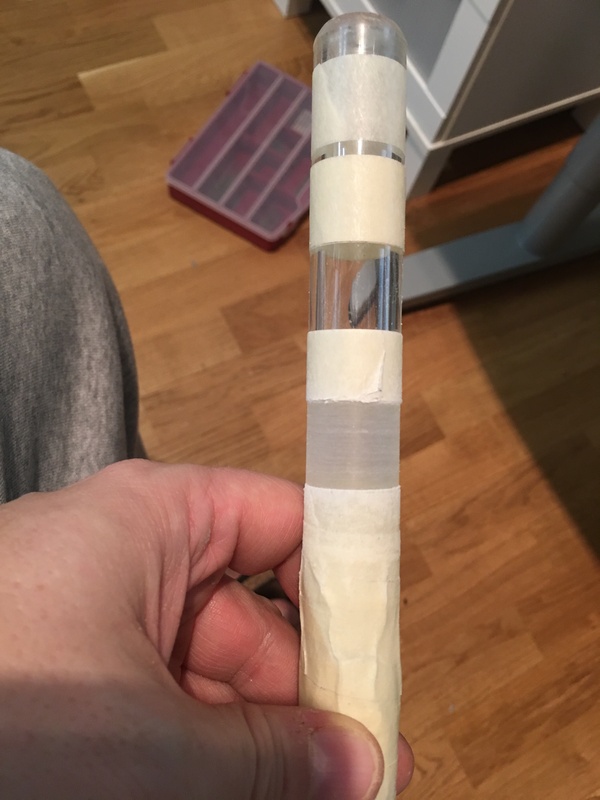 I got the edges done on the lathe, and fixed the frosty parts of the acrylic tube by masking the clear tube and running sand paper around the tube until it became properly frosty. Once the thrower was done, it was time to turn my attention to the pack itself. 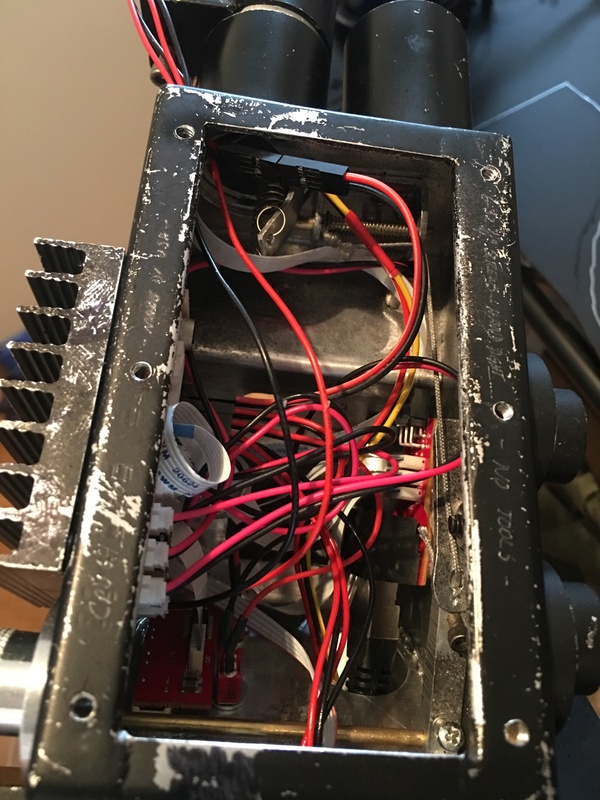 I started by marking the areas on the back plate where I could route cables and mount electronics to not interfere with the shell itself. 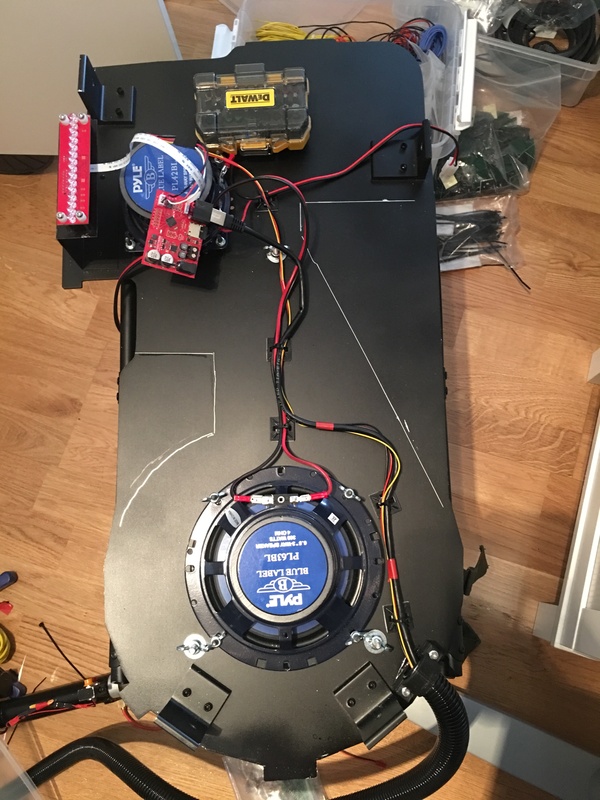 Then I routed the cables for my two Pyle speakers that provides the sound in my pack. 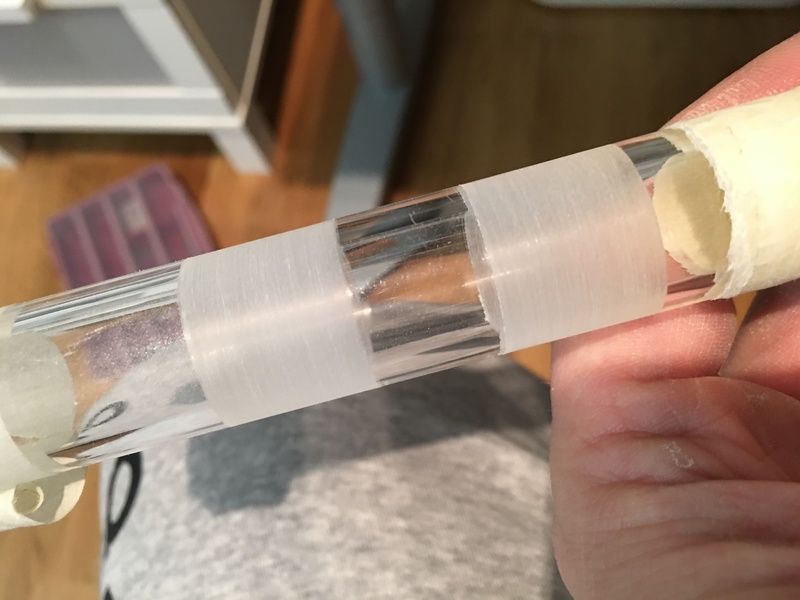 Next up, I 3d printed housings for my LED reflectors and glued them in place on the shell with e6000 glue. 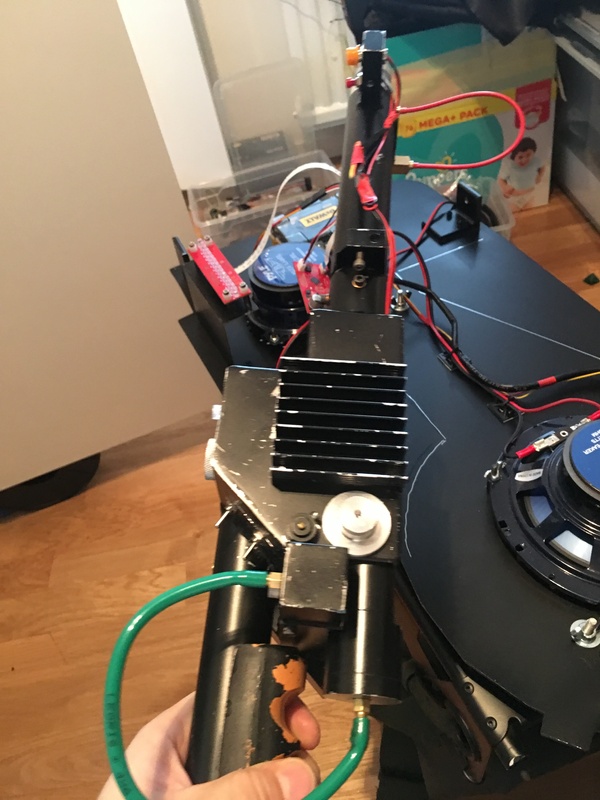 In a perfect world I would build a rig where the reflectors are mounted on the back plate, but as I was in a bit of a hurry at the moment, I decided to glue them in place for now. More cable ties are placed for the electronics and cables on the motherboard itself. 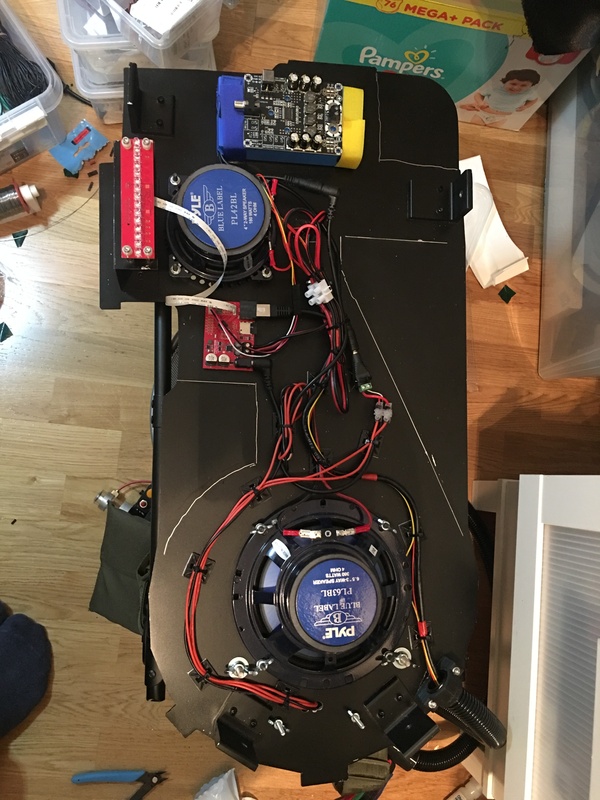 I also routed cables from the battery to the external board on the back that I will use for recharging my battery and turn on and off the main power of the pack. On the blue battery pack is an extra 120W amp that I am considering using. My electronics kit has a built in 40W amplifier, and it might work, but as I haven’t tried out the pack yet in a convention, it is something the future will have to decide. The blue battery pack is little on the small scale, but it will work for now. Once everything was routed, it was just a matter of assembling everything, do a bit of weathering with a chrome pen and some sand paper, and all done!